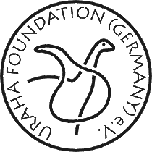 earthquake myths from around the world – URAHA Foundation Germany e.V. 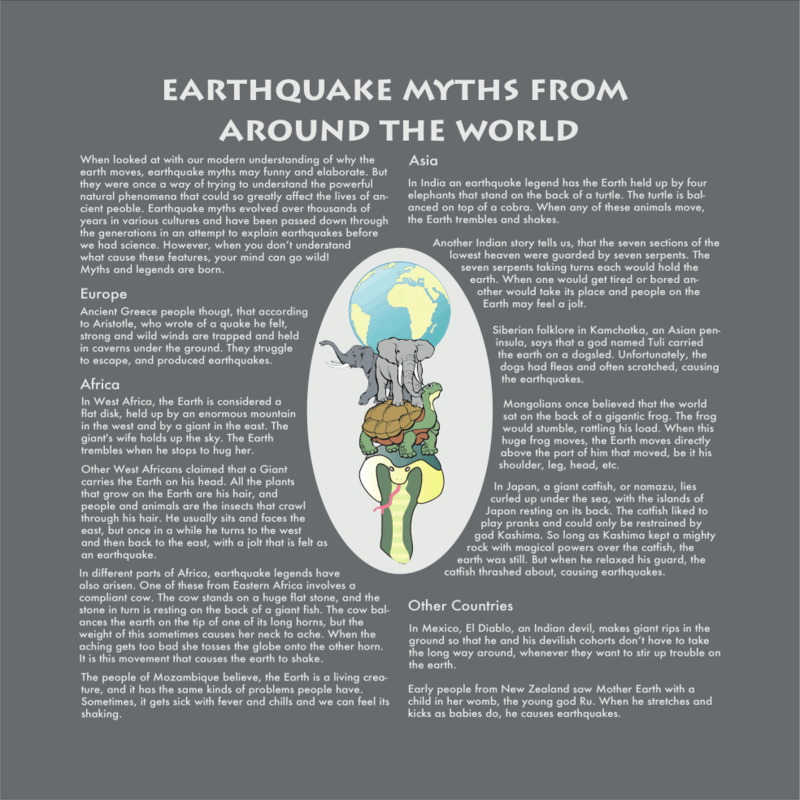 When looked at with our modern understanding of why the earth moves, earthquake myths may funny and elaborate. But they were once a way of trying to understand the powerful natural phenomena that could so greatly affect the lives of ancient people. 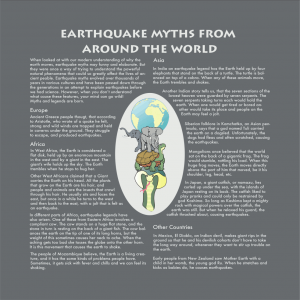 Earthquake myths evolved over thousands of years in various cultures and have been passed down through the generations in an attempt to explain earthquakes before we had science. However, when you donʼt understand – what cause these features, your mind can go wild! Myths and legends are born. Ancient Greece people thought, that according to Aristotle, who wrote of a quake he felt, strong and wild winds are trapped and held in caverns under the ground. They struggle to escape, and produced earthquakes. In West Africa, the Earth is considered a flat disk, held up by an enormous mountain in the west and by a giant in the east. The giant’s wife holds up the sky. The Earth trembles when he stops to hug her. Other West Africans claimed that a Giant carries the Earth on his head. All the plants that grow on the Earth are his hair, and people and animals are the insects that crawl through his hair. He usually sits and faces the east, but once in a while he turns to the west and then back to the east, with a jolt that is felt as an earthquake. In different parts of Africa, earthquake legends have also arisen. One of these from Eastern Africa involves a compliant cow. The cow stands on a huge flat stone, and the stone in turn is resting on the back of a giant fish. The cow balances the earth on the tip of one of its long horns, but the weight of this sometimes causes her neck to ache. When the aching gets too bad she tosses the globe onto the other horn. It is this movement that causes the earth to shake. The people of Mozambique believe, the Earth is a living creature, and it has the same kinds of problems people have. Sometimes, it gets sick with fever and chills and we can feel its shaking. 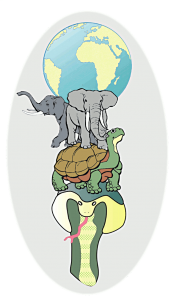 In India an earthquake legend has the Earth held up by four elephants that stand on the back of a turtle. The turtle is balanced on top of a cobra. When any of these animals move, the Earth trembles and shakes. Another Indian story tells us, that the seven sections of the lowest heaven were guarded by seven serpents. The seven serpents taking turns each would hold the earth. When one would get tired or bored an other would take its place and people on the Earth may feel a jolt. Siberian folklore in Kamchatka, an Asian peninsula, says that a god named Tuli carried the earth on a dog sled. Unfortunately, the dogs had fleas and often scratched, causing the earthquakes. Mongolians once believed that the world sat on the back of a gigantic frog. The frog would stumble, rattling his load. When this huge frog moves, the Earth moves directly above the part of him that moved, be it his shoulder, leg, head, etc. In Japan, a giant catfish, or namazu, lies curled up under the sea, with the islands of Japan resting on its back. The catfish liked to play pranks and could only be restrained by god Kashima. So long as Kashima kept a mighty rock with magical powers over the catfish, the earth was still. But when he relaxed his guard, the catfish thrashed about, causing earthquakes. In Mexico, El Diablo, an Indian devil, makes giant rips in the ground so that he and his devilish cohorts donʼt have to take the long way around, whenever they want to stir up trouble on the earth. Early people from New Zealand saw Mother Earth with a child in her womb, the young god Ru. When he stretches and kicks as babies do, he causes earthquakes.